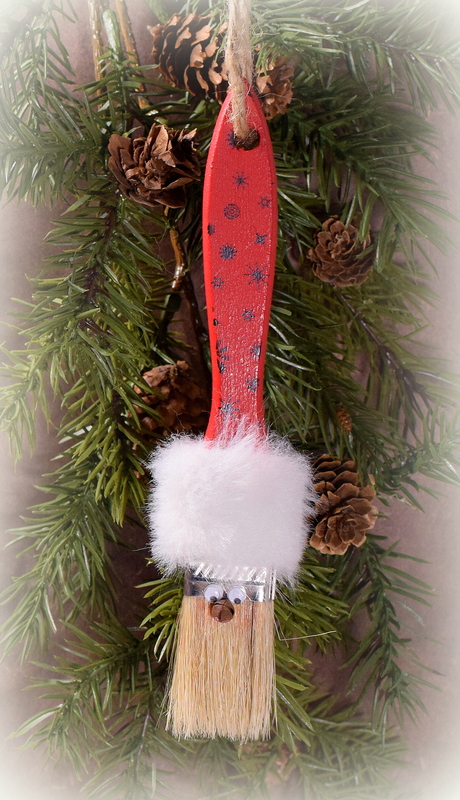 Paint Brush Santa Ornament and Card | I Played With Paper Today! 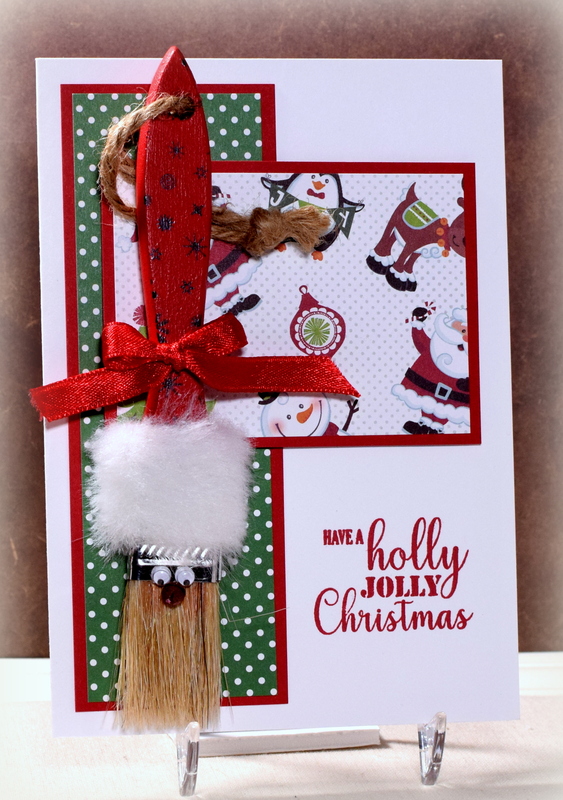 The ornament is attached to the card with a ribbon and can easily be removed. Re-tie the bow, and the card can be displayed without the ornament. I used my We R Memory Keepers 1-2-3 Punch Board to create a box-like envelope that was then placed in a padded mailing envelope. Unfortunately, these cards are quite bulky and will either need to be hand delivered or mailed as a package. You clever gal, you! That is so cute and fun!